We just spent six weeks in Croatia. The place, the people, the food and the ice cream. It was amazing. 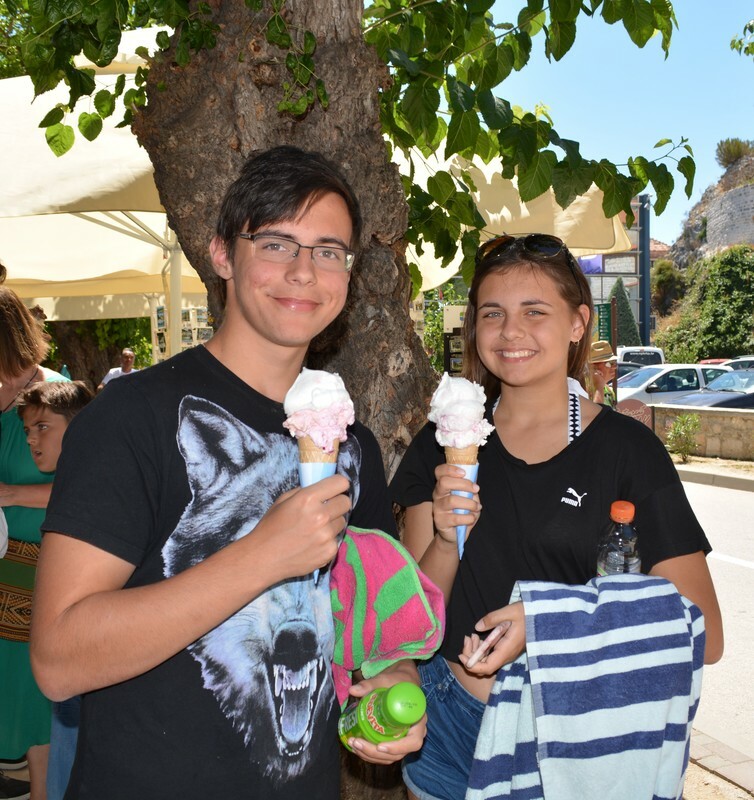 My family loves ice cream, but the ice cream in Croatia, my goodness it was good. My kids loved green apple, any berry combo, lemon, I particularly fell in love with rockmelon, I could go on and on. There was so much choice and they were just delicious. So while over there I promised my kids that I would start making homemade ice cream, I mean I have two ice cream machines, I just never used them. 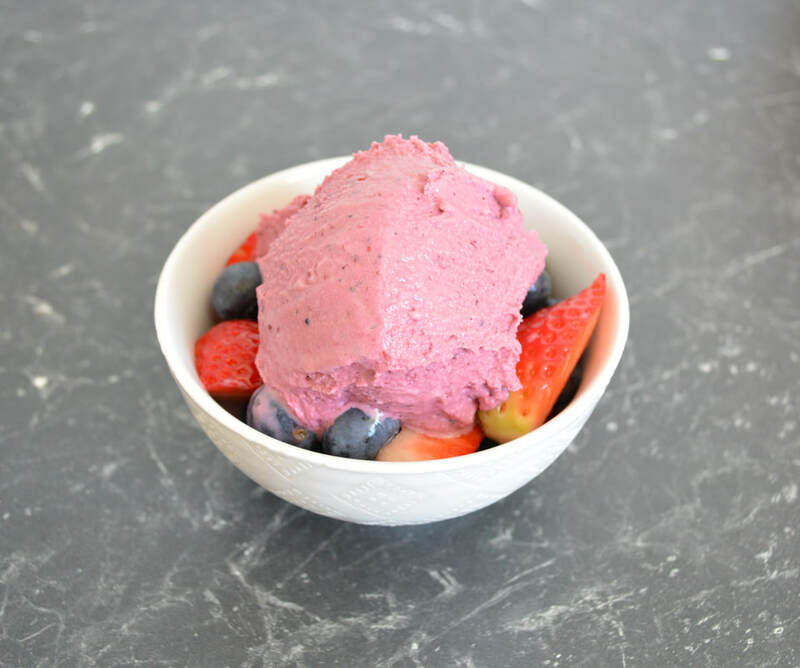 So here is my first homemade ice cream, I went with mixed berry, as we all love berries in my house. It was a success. The flavour of homemade ice cream really is better than store bought. Team it with some fresh berries and you have the perfect dessert. It was not difficult to do, so now the ice cream bowl is in the freezer ready for any day that I have a few egg yolks spare and I can whip up some fresh, tasty, creamy ice cream. If you have never tried homemade ice, please do so, it is worth the effort. Place frozen berries in a large microwave-proof bowl and microwave for 30-40 seconds or until they have softened slightly. Do not cook them through, you just want to soften them to make them easier to work with. Transfer berries to a food processor and blitz until they form a thick puree. Place a sieve above a medium sized bowl and pour the berry mixture through, in batches. This will take a while and you will need to press the puree through the sieve. This step removes the bulk of the seeds and is well worth the effort. You should be left with a thick, smooth puree. Set aside. Pour the cream and milk into a medium saucepan. Scrape the seeds from your vanilla bean and add the seeds and bean to the saucepan. Over medium heat, bring the mixture to a simmer then remove from heat. Do not allow to boil. While the milk is coming to the simmer. In a bowl, whisk together egg yolks and sugar until pale. Once the milk is ready, remove the vanilla bean. With the beaters on, whisk in about 1/2 cup of the milk mixture into the egg mixture, whisking constantly, then gradually pour in the rest of the milk, whisking constantly. Transfer the milk and egg mixture to a clean saucepan, place over a low heat. Stir continuously with a spoon or rubber spatula. Do not leave the mixture at this stage, it can curdle. Stir continuously and don't allow the mixture to simmer or boil. Allow the mixture to thicken slightly and, when it coats the back of a spoon, remove from the heat and place in a clean bowl. Allow to cool slightly. Stir in the berry puree and the lemon juice. Refrigerate until cold. Transfer to an ice cream maker and churn until the mixture reaches the consistency of soft serve ice cream. Transfer to a plastic container and place in the freezer overnight to set completely. 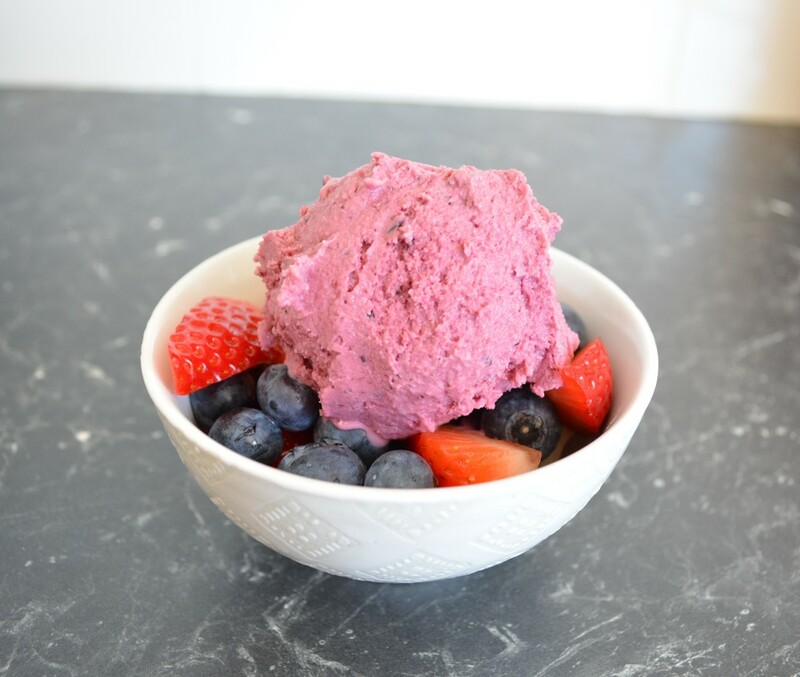 To serve, take it out of the freezer 10 minutes before needed, then scoop into bowls with fresh berries or enjoy it in a cone.